One of only two Wisconsin attorneys admitted to the national College of Community Association Lawyers, which recognizes excellence in the practice, Daniel represents condominium and homeowners associations (HOAs) throughout the state. 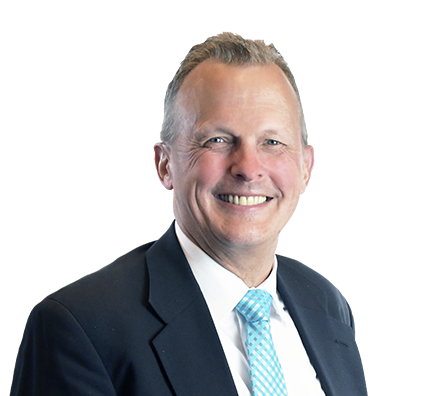 He handles the many issues facing the boards of directors and managers of condominium associations, homeowner associations, cooperatives and timeshares, including document amendments, collections, contracts, rules and governance. Daniel’s interest in condominium law started when he became a condo owner and, eventually, president of his condominium association. He relates well to his clients because he can identify with the complexities of condo ownership and the diversity of the legal challenges that boards and managers confront. While representing a condominium association, Daniel and his team filed a notice of arbitration for $5.5 million against the developer over construction defects. In its response, the developer admitted no liability and advised it had no assets. After reviewing facts supported by two engineering reports, the developer agreed to mediation. In mediation, Daniel suggested creative strategies for maximizing payments from the developer to the association. In addition to the developer paying $200,000 up front to the association, the developer transferred 75 percent of the remaining units (without mortgages) to the association and control of the parking structure. Represented construction company for collection action against business owner and insurance company for fire restoration work based on signed contract. Jury awarded client all collections sought, plus $30,000 of punitive damages. Judge then awarded client $100,000 attorney fees. Jury awarded nothing on business owner's $500,000 plus counterclaim for construction deficiencies and delays in completion. Represented condominium association in case against unit owner whose air conditioner dripped water and caused damage to unit below and common element. Unit owner refused to make repairs or pay repair costs of less than $1,000. Unit owner refused to settle with association for $1,500, including attorney fees. After trial, judge awarded association all damages, costs and attorney fees, resulting in collection of more than $39,000. Represented door manufacturer in which client won $1.5 million jury verdict against manufacturer of defective paint. Wrote amendment to Wisconsin Condominium Act and chaired legislative action committee supporting passage of law allowing condominium associations to amend declarations by more easily obtaining mortgagee approval. Aggressively collected more than $9 million as a result of delinquent accounts for Wisconsin condominium associations. Developed procedure for Wisconsin condominium association emotional support animal requests. Defended Wisconsin condominium association against unit owner's claims of discrimination and breach of fiduciary duty, prompted by association's refusal to ban smoking in all units. Association won its motion for summary judgment before trial and was awarded frivolous costs and fees. Appellate court affirmed ruling. Advised Wisconsin condominium association regarding quiet title action against lender to clear way for repair and sale of foreclosed unit. Counseled numerous Wisconsin condominium associations on procedures needed to properly run meetings, deal with difficult owners and fine residents or unit owners for violation of association documents. Advised Wisconsin association that faced significant collection issues as result of mismanaged files and errors by former counsel. Association collected more than $25,000 from prior attorney. Can Your Association End a Unit Owner's Suit by Post-Suit Filing Actions? Can the Association's Documents be Contradictory and Still Enforceable? Who Says the Board Can't Favor Resident Owners? Daniel enjoys spending time with his wife, Cindy, playing recreational golf and skiing. He has three children and one grandchild who make his days complete. Though he can ski in snowy Wisconsin, Daniel prefers to vacation out West, skiing with family and friends. Daniel also plays on a softball league in Cedarburg, Wisconsin. Daniel volunteers as a church youth leader, serving as an adult role model for high school kids. 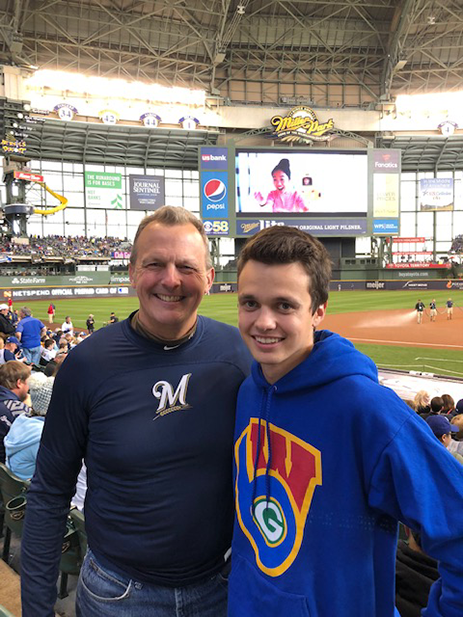 He and his wife, Cindy, meet every week with a Bible-based youth group to connect and build rapport with teens. The young adults share their thoughts about life and often continue the relationships after they move on to college. 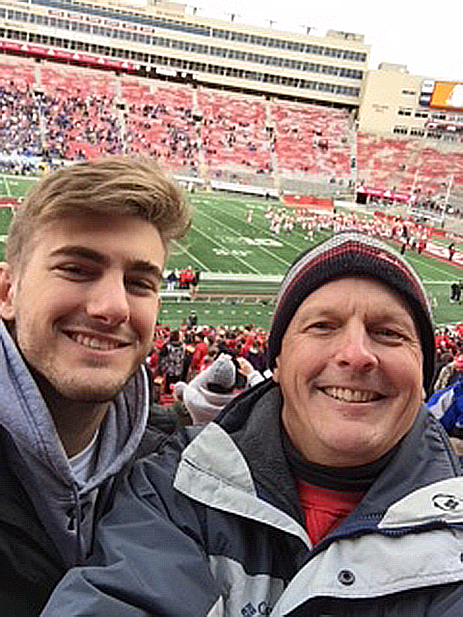 Daniel and a member of his church youth group attend the state high school football championship games at Camp Randall in Madison, Wisconsin. Daniel wrote an amendment to the Wisconsin condominium statute. Traditionally, condominium associations in the state had to obtain mortgagee (bank) approval to amend declarations. To make it easier for condominium boards to amend their declarations, Daniel authored an amendment to the statute stipulating that a condominium association’s amendment request is deemed approved if the bank has not responded within 60 days. The amendment was signed into law by Gov. Scott Walker in 2018.